The Boston Red Sox traded future Hall of Fame centerfielder Tristram Speaker to the Cleveland Indians for standout pitcher Sad Sam Jones and minor league infielder Fred Thomas. 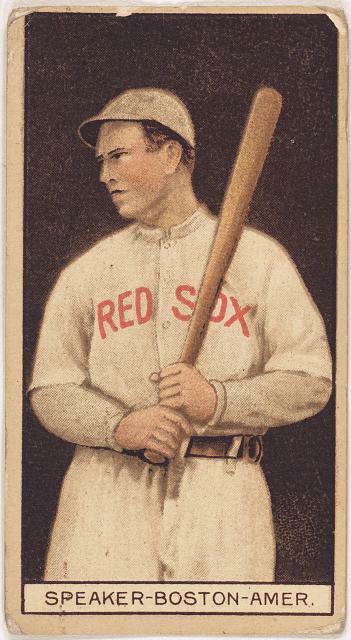 Tris Speaker batted .344 lifetime, the seventh highest in baseball history for 23-year-old Sam Jones, who had won just 4 prior major league games - 4-9 in 1915. Included in the deal was third baseman Fred Thomas who did not play until 1918. Sad Sam Jones won 23 games for the Red Sox in 1921 and posted a 229-217 career record. Fred Thomas compiled a .225 batting average in 3 seasons. Prior to the trade Tris Speaker hit .309, .340, .327, .383, .365, .338, .322 for Boston. After the trade he led the AL with a .386 batting mark in his first year with the Indians. 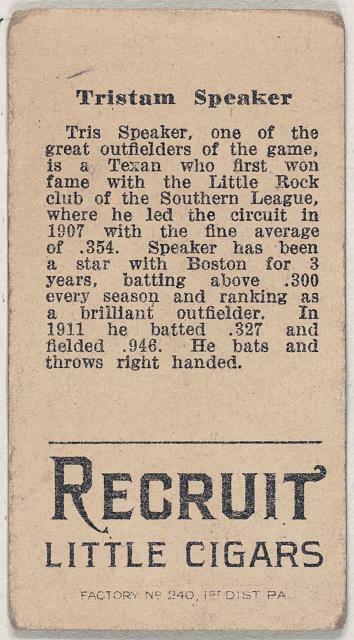 Speaker then hit .352, .318, .296, .388, .362, .378, .380, .344, .389 .304, .327 and .267 in his last MLB season, 1928.